HP 15-r137wm is a 15-Inch TouchSmart Notebook PC equipped with Intel Core i3-4005U processor (1.70GHz, 3MB L3 Cache), 6GB DDR3 SDRAM, 500GB SATA hard drive, 15.6″ HD BrightView WLED-backlit touchscreen display, and Intel HD Graphics 4400. 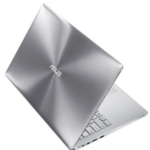 Oh yeah, it has become a hot selling laptop at Amazon (price as review: $324.24), more and more people are choosing it, so I think I'd better share it with you guys today. The HP 15-r137wm laptop also comes with HP TrueVision HD webcam, SuperMulti DVD Burner, 10/100Base-T Ethernet, 802.11b/g/n Wireless LAN, 1 x USB 3.0 port, 2 x USB 2.0 ports, 1 x headphone-out/microphone-in combo jack, 1 x RJ-45 Ethernet port, 1 x HDMI port, and 4-cell lithium-ion battery. 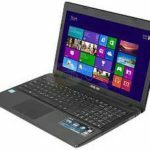 The laptop is preinstalled with Windows 8.1 64-bit operating system, you can upgrade it to Windows 10 for FREE. 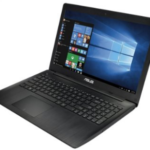 You'll enjoy true reliability on the road or at home with a simple, yet powerful value-packed Notebook that gets the job done. Fully loaded with a 1.7GHz 4th generation Intel Core i3-4005U Processor and 6GB DDR3 Memory, the HP 15-r137wm TouchSmart PC makes for a speedy and efficient PC. The 500GB SATA Hard Drive provides ample space to store all crucial data safely. 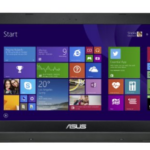 The 15.6-inch HD WLED-backlit touchscreen Display offers crystal clear viewing. The HP 15-r137wm TouchSmart Notebook PC is also pre-loaded with Microsoft Windows 8.1 (64-Bit) that offers a user-friendly interface. If you are looking for a super affordable notebook PC for daily basic use, I think the HP 15-r137wm could be an ideal choice now. 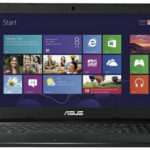 Well, what's your opinion on the HP 15-r137wm 15″ TouchSmart Notebook PC? 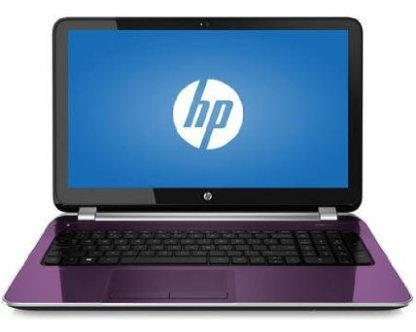 Buy or find out more about the HP 15-r137wm at Amazon.